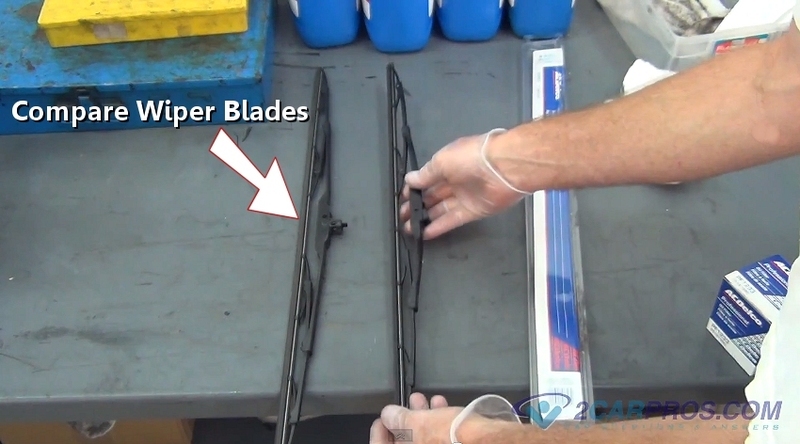 Easy step by step guide on how to replace windshield wiper blades, though each application is slightly different it follows the same process. Begin with the vehicle on level ground with the parking brake on, while the transmission is in park. 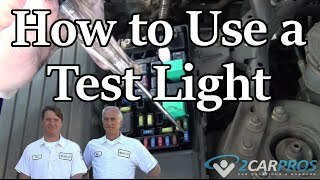 Step 1 - Locate the wiper blade for replacement. 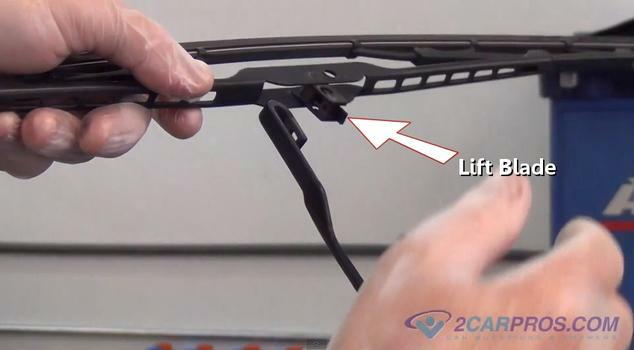 Step 2 - Once the wiper is ready for replacement, lift the wiper arm into its service position away from the windshield. Some vehicles are designed with the wipers below the hood level. for this, turn the wiper switch "ON", then while the wipers are in the "UP" position on the windshield, shut the key "OFF", this will stop the wipers on the windshield in most cases. If the wipers return to the park position, lift the hood to gain access. Step 3 - After the wiper arm is in the parked position, locate the release tab. Step 4 - Using a small screw driver or your finger, release the wiper tab. 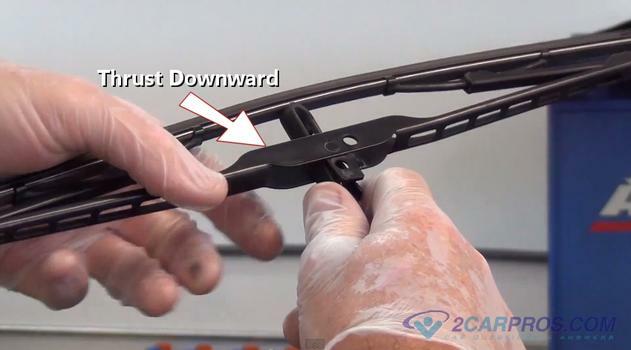 Step 5 - With the tab released, thrust the wiper arm downward to disconnect the wiper from the arm. 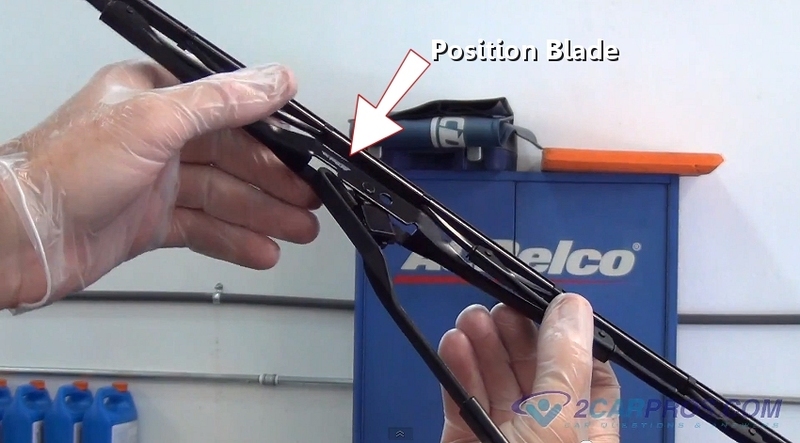 Step 6 - When the wiper has been disconnected, lift the wiper blade away from the arm to complete the blade removal. Caution: Never Allow the wiper arm to strike the windshield, this could cause the Windshield to break. 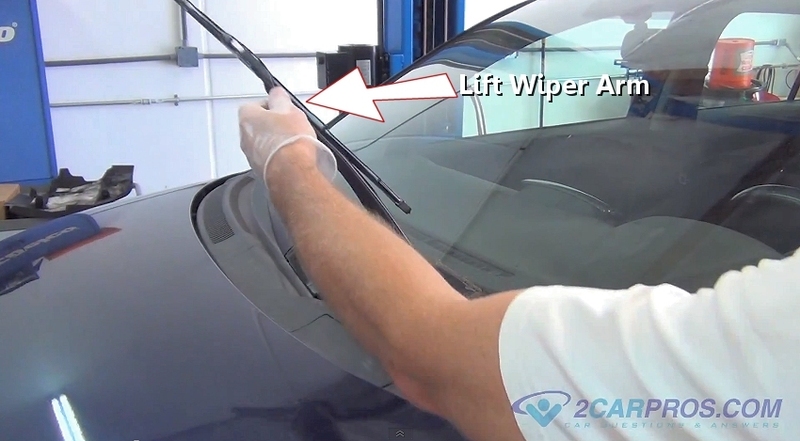 Step 7 - Once the wiper has been removed, compare the new replacement wiper to the used wiper. Step 8 - After comparing wipers, position blade over the arm located near the clasp. 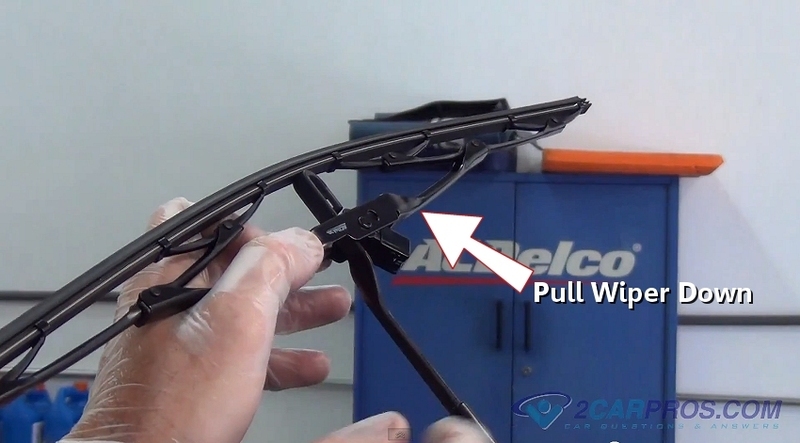 Step 9 - Pull the wiper blade over the wiper arm to align the wiper clasp. Step 10 - Then, align the wiper clasp with the arm mount and push the wiper into place, this action will be accompanied by a slight click. 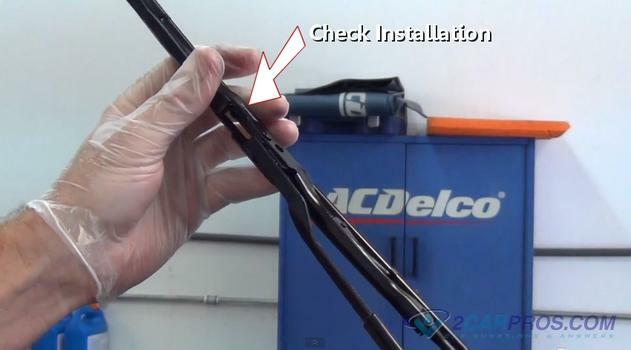 Step 11 - Once the wiper has been installed, pull down on the wiper to ensure proper installation. Step 12 - Return the wiper arm to its original position. 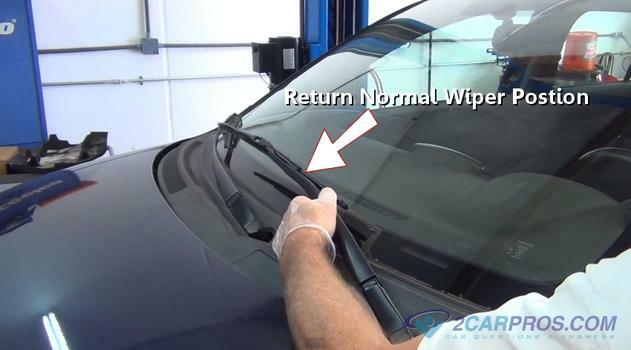 Once the job has been completed, check the wipers to confirm proper operation. Inspect and replace any other wipers that show signs of wear. 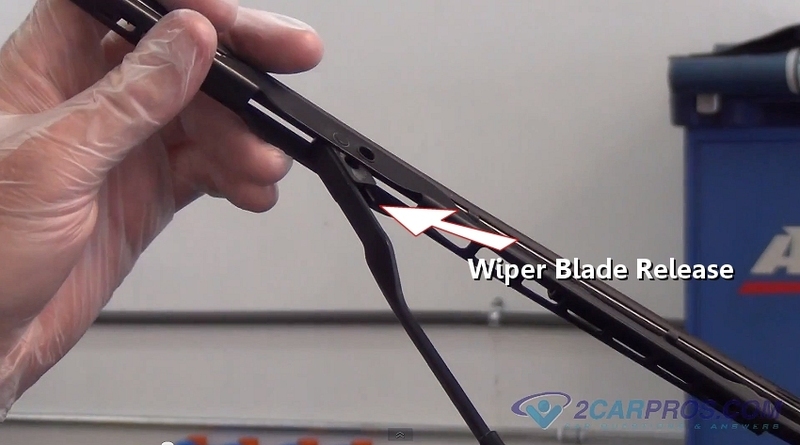 The method in which the wiper blades are attached can vary slightly. A wiper blade can "chatter" across the windshield if the blade is not balanced. (Lip of the wiper must rock back and forth as the wiper changes direction.) 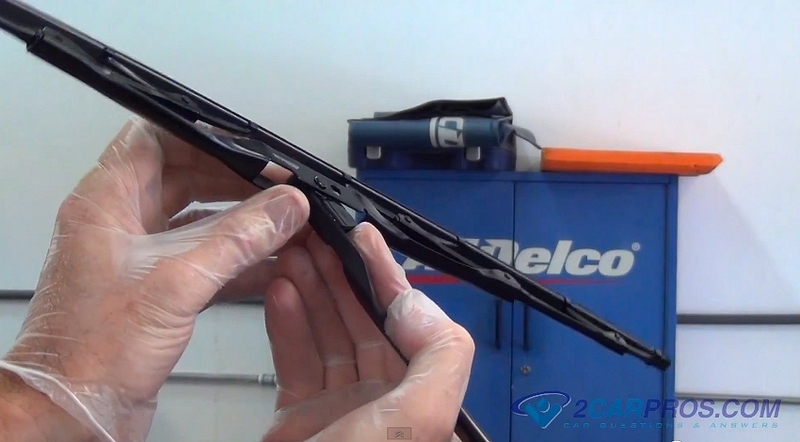 If wiper is not balanced, slightly bend or tweak the wiper arm to adjust the blade. 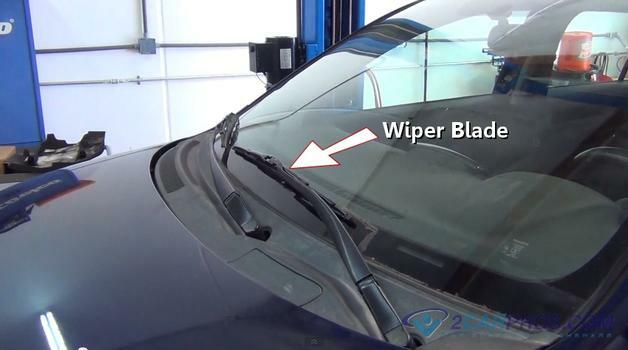 A vehicles wiper blades are mandatory to clear water and obstacles that obstruct the vision of the driver, windshield washer solvent can be used to help clean the windshield. Wiper blades are subject to severe weather conditions which can cause wiper blades to become cracked or dilapidated. Some vehicles are equipped with dual or triple action wiper blades that designed to give additional cleaning action. Beware of wiper blades that show signs of wear as they can scratch the windshield while in use if the metal frame of the wiper is exposed. If the blade on the mounting pin is not completely attached it can allow the wiper arm to become dislodged and possibly cause damage to the windshield.